Sign up for your free ebooks, videos and community. I'm an award-nominated, USA Today bestseller, with more than 20 books published and over 2 million books downloaded in multiple countries and languages. As well as writing, I also teach other authors how to self publish and I speak regularly at writing conferences all around the world. I’m lucky enough to make a good living as a self published author, but it wasn’t always like that. Far from it. I’ve had a long journey to get to where I am today, spending several years and thousands of dollars learning what works (and what doesn’t work) when it comes to getting paid for your writing. It doesn’t have to be that way for you. 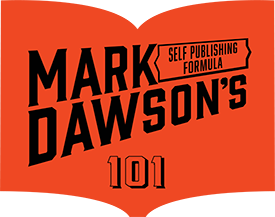 The Self Publishing Formula is everything that I know about writing, marketing and selling books in the twenty-first century. SPF is your one-stop shop for everything you need to know about self publishing. We have a value-packed free weekly podcast, with amazing guests to inspire and teach; vibrant facebook communities where you can get support and advice from other writers just like you; free writer resources and guides; and our acclaimed courses where I walk you through everything you need to know to help you make a career from your passion. I have popular courses that will help writers at every stage of their careers. Fiction and non-fiction, all genres. There’s something for everyone. Check them out. The SPF Podcast provides weekly inspiration and education to writers at all stages of their careers. From million-selling authors to industry experts, from masterclasses with me to tutorials from other industry leaders, our aim is always the same: provide a ton of value in exchange for an hour of your time. Here are some of our favourites.